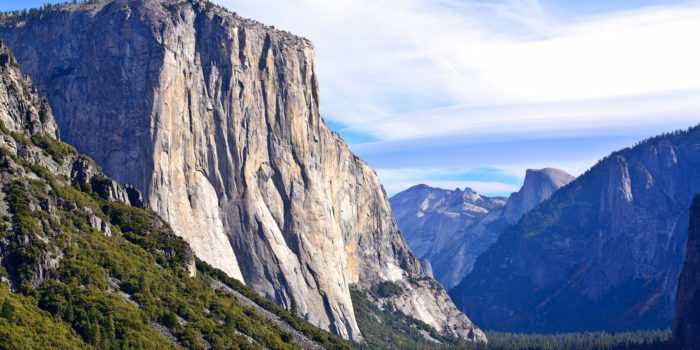 The new movie, Free Solo follows Alex Honnold as he becomes the first person to ever free solo climb Yosemite’s 3,000ft high El Capitan Wall. With no ropes or safety gear, he completed arguably the greatest feat in rock climbing history. Here’s our original tribute to Alex and the remarkable alpinists and athletes of his lot. On Saturday, June 3rd 2017, the 31-year-old rock climber, Alex Honnold woke up at 4:30 am, got dressed, had breakfast – and then hiked to the base of El Capitan: a 3,000-foot granite wall in Yosemite National Park. There he donned a pair of climbing shoes, and then took the first step of what would become an historic feat. Some four hours later, he pulled himself onto the summit – becoming the first person ever to free solo El Capitan’s massive vertical wall: to navigate the perilous expanse of its rock-face without ropes or any other safety gear. Yet after a few steps, the look of concern on his face was replaced with a glowing smile, which an onlooker described as being one of joyous rapture. Supremely focused while at the same time relaxed, and deeply confident in his technical skills, Philippe Petit was “in the zone” – his body and mind both flowing with effortless precision, with fearless ease and happiness. So how did knowing that “death was very close” contribute to the breathtaking success of his historic high-wire walk between the Twin Towers? The urge to participate in so-called “extreme sports” – things like high-lining (tight-rope walking at extreme heights); sky-diving; solo climbing (without a rope); paragliding; bungee-jumping or ice climbing –- might, to some, seem rather insane. Why would one choose to put one’s life at risk? But as these athletes frequently report, it is exactly this “closeness to death” – the knowledge that a small mistake might mean the death of their body – that opens the gateway into the excitement and deep pleasure associated with the activity. An intensely focused yet spacious mind — with heightened levels of mindfulness, and deep concentration – can generate extreme feelings of bliss, joy and rapture. This is something that most meditators at some point discover, simply sitting cross-legged on the ground. The focus required in extreme sports can facilitate access to something similar, which goes far in explaining its appeal. When all goes well, participation in an extreme sport challenges us physically, uplifts us emotionally, and perhaps also provides a glimpse into the freedom of “the zone” — without actually causing lasting damage to the body. But every now and again – as would be expected for an inherently risky activity – things don’t go quite as planned. One of the most harrowing stories of an extreme-sport expedition that took a life-threatening “wrong turn” is that of British mountaineers Joe Simpson and Simon Yates, who in 1985 attempted to ascend the previously unclimbed West Face of Siula Grande in the Cordillera Huayhuash within the Peruvian Andes. They did indeed summit, but on their descent – in the midst of a fierce blizzard – Joe Simpson breaks his leg. Yates attempts a heroic rescue of his climbing partner, by lowering him on a 300-foot rope, again and again. But at a certain point Simpson slides over a cliff, and the rope comes taut with him dangling in mid-air. Because of the blizzard, Simon Yates can’t see what has happened to Simpson and – after an hour of holding on, but on the verge of being dragged down and to certain death himself – makes the decision to cut the rope that has been linking the two climbers. When the rope is cut, Joe Simpson falls into a deep crevasse. Although he survives the fall, his climbing partner assumes him to be dead, and so returns without him to the base camp. The majority of the award-winning docu-drama Touching The Void is about how Simpson actually did survive: first by lowering himself deeper into the crevasse, and then climbing out, and making his way (with a broken leg) back to the base camp. Beautifully portrayed in this film are the qualities that allowed Joe Simpson to survive: willpower, endurance, steely determination, mental fortitude, and strength of human spirit. Toward the end of his ordeal – and very close to death indeed — Simpson begins to experience visual and auditory hallucinations – with the Boney M song Brown Girl in the Ring playing in his mind, over and over again. Even in this near-death state, he continued to progress by setting very short-term (20-minute) goals for himself. And, as it turns out, did indeed make it back to the base-camp, just hours before his climbing partner was planning to leave. The film leaves the viewer both inspired and with a host of interesting issues to ponder, not the least of which are the ethical dilemmas that surface when engaging in such an activity with a partner. When and in what measure would I risk my life, in order to save someone else’s life? When a situation seems hopeless, how do I motivate myself to continue making an effort? Does the exhilarating beauty of a dangerous climb warrant the worry that loved ones have for my safety? While perhaps not quite as extreme as ice-climbing in the Peruvian Andes, the extended effort required when running a marathon or competing in a triathlon connects you with a second energy, much like the survival impulse that comes to the fore in the high-risk/high-reward moments of a sporting feat characterized by severe, often oxygen-poor environmental conditions. This can certainly bring up similar issues to the ones faced by our friends, Honnold, Petit, Simpson and Yates. Which aspects of their ordeals can you relate to? Whatever you do, don’t be afraid to take risks. Death defiance is not a requisite in any way. 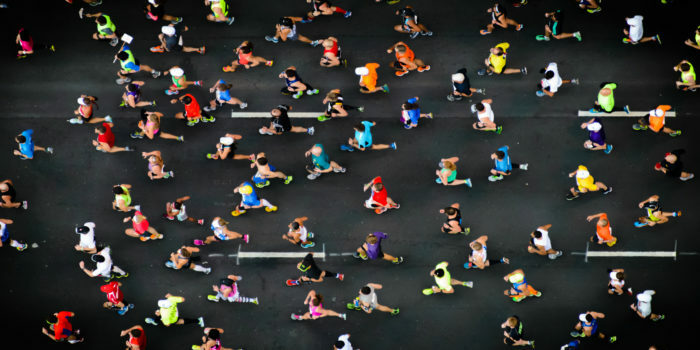 Unless you’re over-ambitious, foolhardy, or vainglorious, you won’t injure yourself by pushing your legs and lungs in an effort to go farther, higher or faster. By applying training practices from other endurance sports, you can systematically outfit and coach yourself to a realistic trekking or mountaineering goal. You might even touch the void. The dream was to get around the world in 80 days. To get back here in 78 days and change is an absolute dream come true. When I left here, I felt like a lot of people were excited by the idea but thought it was impossible. 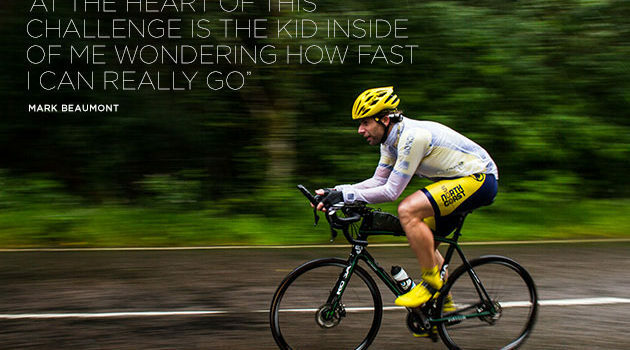 The success of cycling around the world in 80 days shows that what seemed impossible is possible and has redefined the limits of endurance sport.